Developer Sunland has settled its $61 million acquisition of a site at Mermaid Waters on the Gold Coast which was once short-listed for the Gold Coast’s convention centre. 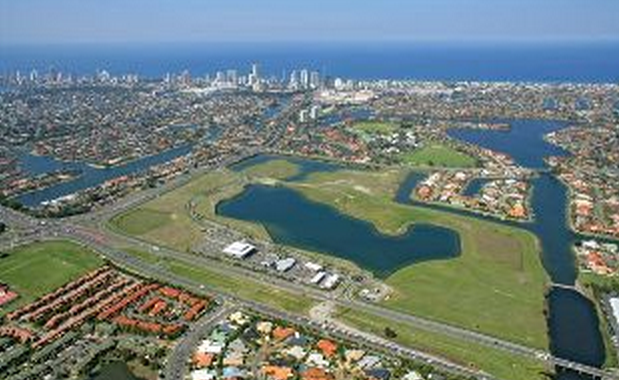 The 42 ha "Lakeview" residential development at Mermaid Waters is one of the most significant large-scale development parcels on the Gold Coast. The site surrounds a large central lake and also features canal front land with direct ocean access. Sunland Managing Director Sahba Abedian said the acquisition showed the strength of the developer's balance sheet. "This is a strategic and historic acquisition for the group, providing substantial mid to long-term growth opportunities for the business," Mr Abedian said. "The Lakeview site is one of the most superb greenfields development sites on the Gold Coast, located only two kilometres from the dining, retail and entertainment precincts of Broadbeach and five kilometres south-west of Surfers Paradise. ""The precinct is earmarked for a masterplanned residential development with current approval in place for 1,425 dwellings which will comprise residential housing, townhomes and medium rise buildings with an estimated overall end value of $850 million. "The group anticipates it will launch the first stage of the project comprising residential land lots, in mid-2015. The development will progressively be delivered in stages over the next 10 years. Sunland originally announced the acquisition in October 2014, which was negotiated on an extended settlement basis.